Around 160,000 Australian horses served in World War I. During the Boer War 16,314 horses were dispatched overseas for use by the Australian Forces. In the First World War, 121,324 Walers were sent overseas to the allied armies in Africa, Europe, India and Palestine. Of these, 39,348 served with the , mainly in the Middle East , while 81,976 were sent to India. Such was the use of horses on the Western Front, that over 8 million died on all sides fighting in the war. In addition to the horses used directly by Australian forces a thriving breeding history developed in Australia, providing cavalry units throughout the world, with almost 350,000 horses sold overseas between the early 1800s and 1950. One example being during World War II 360 Australian Walers were assigned to the Texas National Guard 112th Cavalry in New Caledonia for pack work as well as transporting the injured they were eventually deemed unfit for jungle warfare. They then travelled to India where they served with the Chinese Army before being assigned to the unit known as Merril’s Mauraders. The Corps was founded in January, 1916. It attained its full strength in December that year. Four battalions were eventually formed. The 1st and 3rd were entirely Australian, the 2nd was British, and the 4th was a mix of Australians and New Zealanders. In May, 1918 it was reduced in strength to a single battalion. The Corps was formally disbanded in May, 1919. 346 of its personnel were killed in action. In late 1917 Desert Mounted Corps had numbers totalling 6,000 camels. The donkey made famous by Simpson is the main public image of a beast of burden. The mules on the other hand were in constant demand to carry supplies to the frontline. They were particularly suited for this role because of their resistance to drought and temperature extremes. However, as the Australians found them stubborn, difficult to handle and irritable, they were left to the ministrations of their Indian and Jewish Mule Corp handlers. Even so these animals worked and died for the AIF. Many thousands died and none were ever brought back to Australia. The image of Simpson is so entrench in our Nation’s history that we forget the ADF used thousands of donkeys during all our overseas conflicts. In one campaign in East Africa 34,000 donkeys were used to support Commonwealth Troops between 1916-17, due to the death caused by tsetse flies only 1,042 survived the conflict. In France, donkeys carried 200 pound loads up to the trenches and thousands were killed wounded and gassed alongside our soldiers. In recent deployments to Afghanistan ADF Special Forces used donkeys for carriage of equipment over difficult mountainous terrain. They were thus able to carry their laptops and communications gear into remote mountain areas on donkeys to call in coordinated precision air strikes on enemy targets riding locally purchased mounts. Australia due to its large unchartered and predominately uninhabited land mass has relied on animals for everything from outback settlement and exploration to basic local transportation of goods or humans. Prior to European settlement no horses ,Mules, donkeys or camels were native to these lands and the first peoples of the land were foot bound, however the Aboriginals used the semi domesticated Dingo dogs as a light pack haulage animal tens of thousands of years ago. 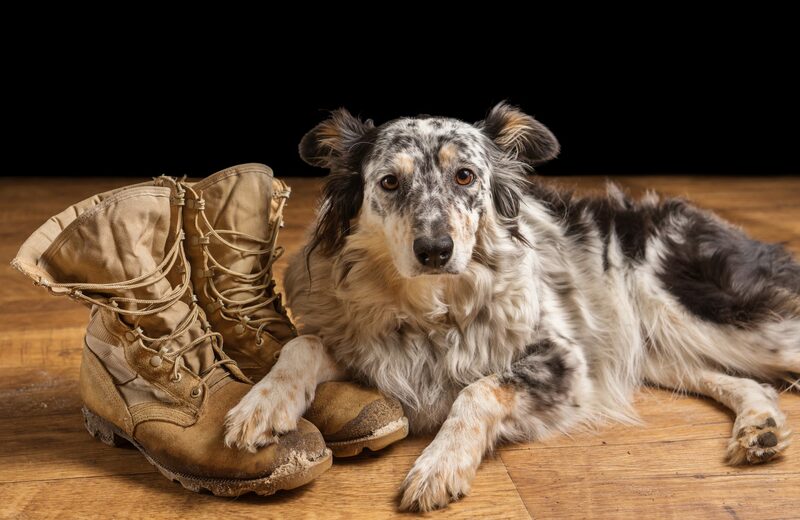 During decades of global conflict, four-legged diggers have served alongside Australia’s troops. Among their many duties, our enlisted mates have helped carry messages through the trenches, laid telephone wire, and carried ammunition and medical equipment from place to place. A dog’s keen sense of smell aided our soldiers in searching for and aid the wounded and detecting mines, in a similar fashion to the bomb detector dogs of today. Australian Military forces enlisted the help of man’s best friend during World War II when German shepherds were given the task of watching over valuable military equipment. In Vietnam, the Australian Task Force included dogs in combat tracker teams. Their mission was to search the jungle for the enemy, and eleven four legged diggers were left behind . There are many types of working dogs across the globe – but few are more critical to human life than those that sniff out explosives today in Afghanistan. These dogs are saving the lives of Australian soldiers and civilians alike. Improvised Explosive Devices (IEDs) are the biggest threats to Australian soldiers in Afghanistan. Working Dogs within The Royal Australian Engineers (RAE) was first fostered in 1918 when sappers handled British trained messenger dogs in the trenches of France. The use of search dogs within the corps dates back to1944 when the lst Australian Dog Platoon, RAE was raised . The RAE units used British trained mine dogs in Korea during 1951. In 1952 the Australian Army started training mine dogs and scout dogs at the School of Military Engineers (SME), using the methods developed by the British . Today Explosive Detection Dogs are used in a specialist search capacity to counter the threat of improvised explosive devices throughout Afghanistan. Some other recent operations using dog teams were OP ANODE to the Solomon Islands were 12 EDD teams rotated in country over a 12 month period in support of the Australian Federal Police (AFP). Deployment to Somalia as part of the UN, Bougainville and East Timor. Amongst the first troops to land were Military Working Dog teams of the RAAF to secure the Airfield. They remain there today as part of that security and stabilization force. Military mascots have been of great morale value to Australian soldiers from the trenches of WWI to dogs adopted by the ADF in Afghanistan today. There are two types of military mascots, one of which are those which appear particularly in Commonwealth Forces as part of the Regiments’ official history and are part of that Regiment’s order of battle, with service rank and number. In the ADF such animals are Stan the Ram of 8/9 RAR, Sgt Courage an eagle of 2 Cavalry Regiment and many more. The other type of mascot, and more usually a dog, is the unofficial mutt which many a soldier has adopted in situ as a companion. Some ADF troops in Iraq and Afghanistan have befriended local animals as a way to help cope with the emotional hardships they endure every day while deployed in a war zone.